Flexible indoor dining at its best. 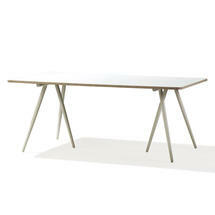 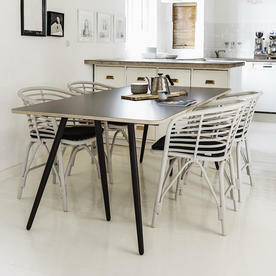 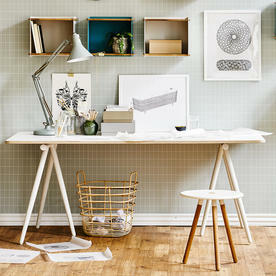 The Turn indoor dining table from Cane-line has been designed by the Danish design duo Foersom & Hiort-Lorenzen. 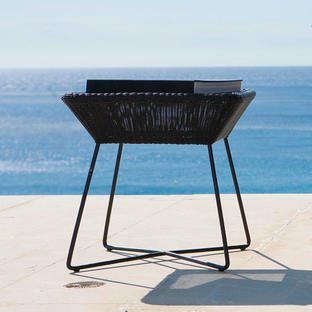 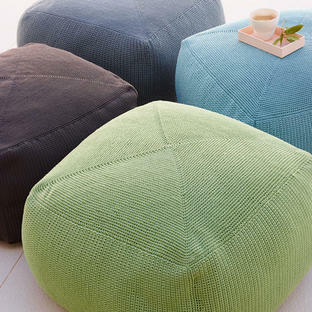 Turn is perfect for creating harmony between your indoor living space and your outdoor space. 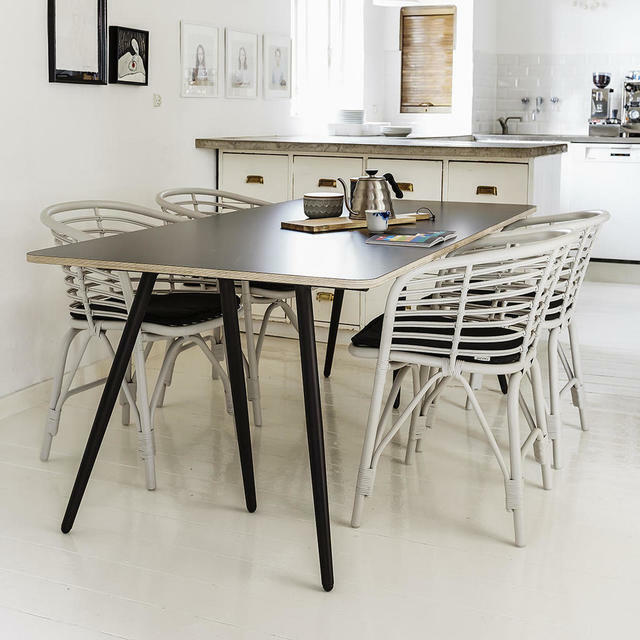 The dining table is very light in its construction, made from birchwood veneer, it is laminated on either side, grey on one side and white on the other side, allowing you to choose the finish of the table top as you desire. 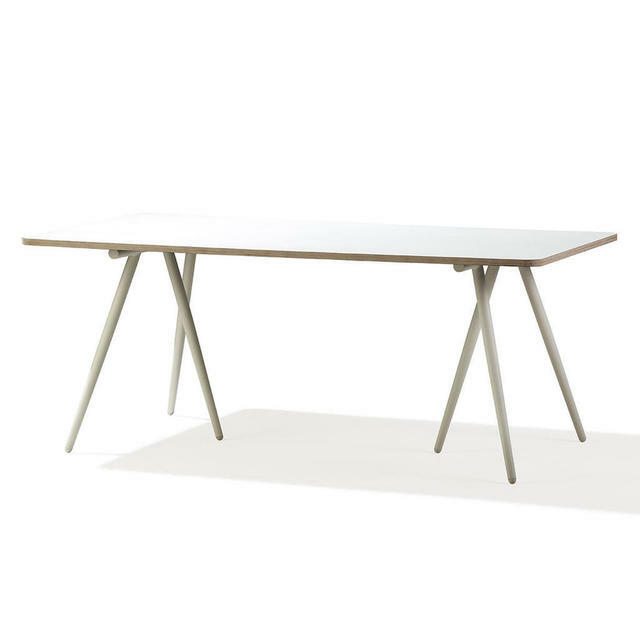 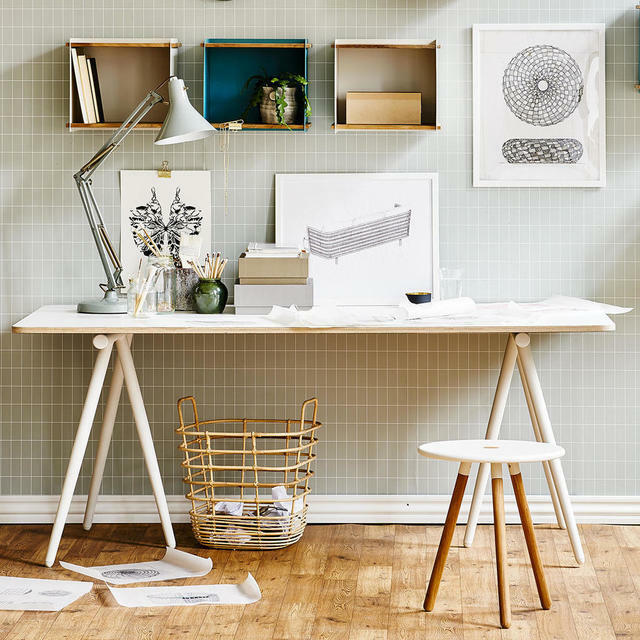 The table top sits on free standing trestle bases, choose from either a dark brown trestle base or soft white trestle base. 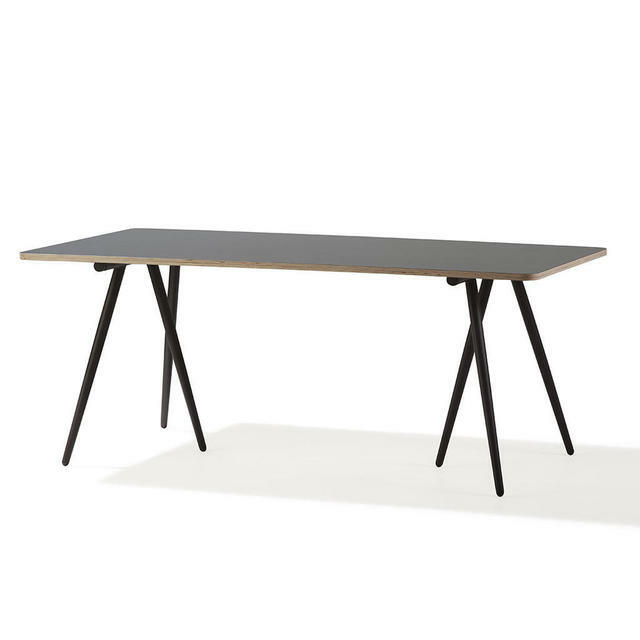 The edge of the table is in natural birchwood. 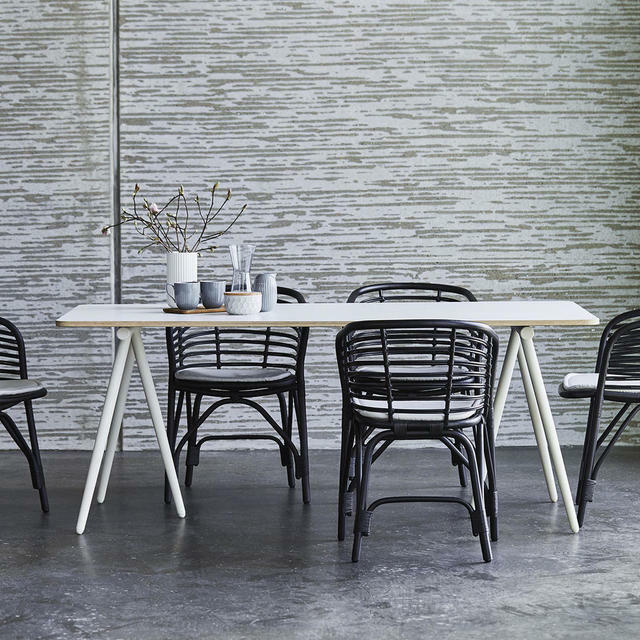 The table naturally accompanies the Blend chairs and the Spin chairs from the Cane-line Elements collection. The tabletop 180 x 90 cm seats 6-8 people. 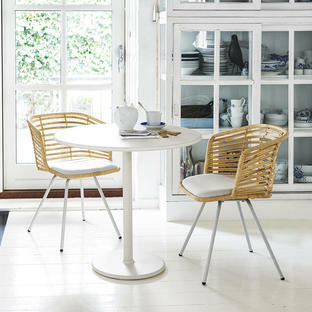 It is made from laminated birchwood.